Being confined to staying home today due to a stomach upset last night (woke up 3 times at night! ), I decided to make myself useful at home. Normally I don’t cook since I always get home late after work and on weekends, hubby and I like to take the car out for a spin. But this morning, after seeing the doctor and being told I needed a syrup or some fruit juice to mix my sachet of powdered medication with, I went to the nearby NTUC supermarket to get a bottle of Ribena. 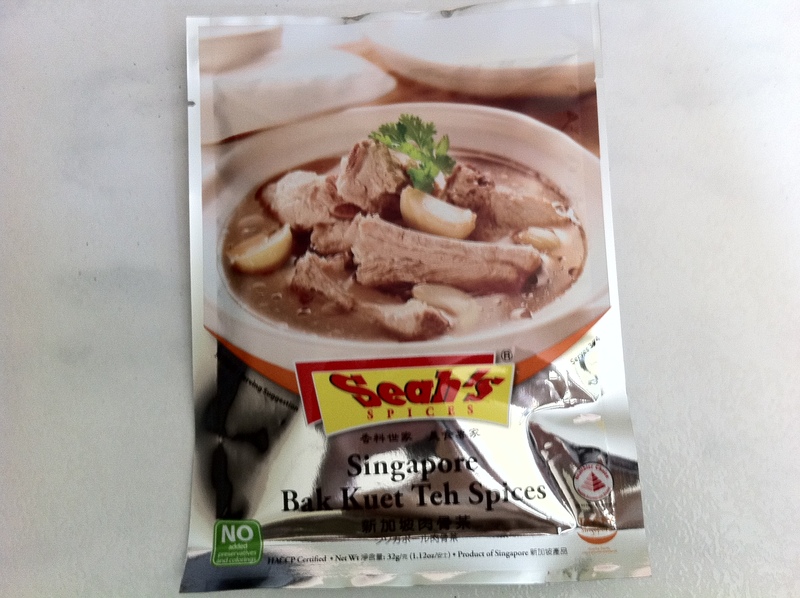 At the check-out counter, I saw a packet of Seah’s Spices Singapore Bak Kut Teh. It was spices in a sachet form and after checking the cooking instructions at the back of the package, I decided to give it a try. 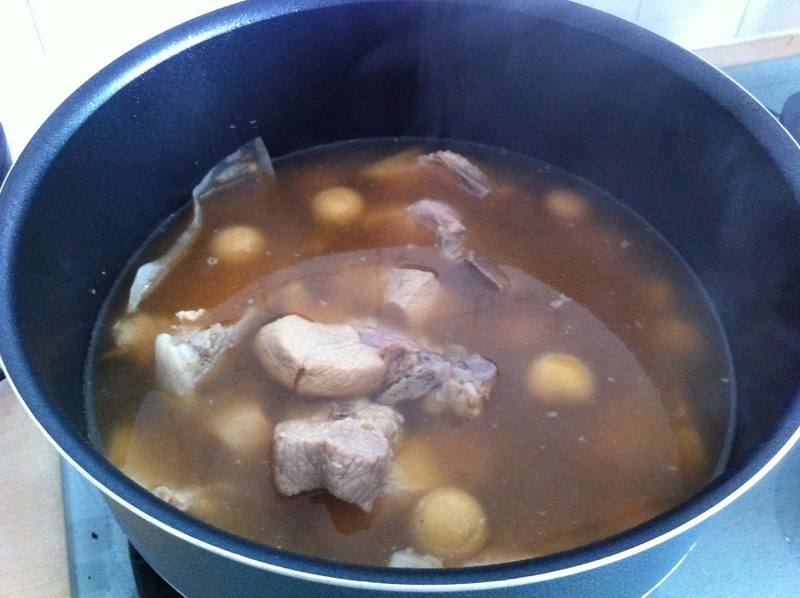 My eldest sister just recently cooked the same soup but instead of using pork ribs, she used chicken wings since her son and my youngest sister don’t take pork. Hubby liked it and commented that I should try. I don’t know what brand of spice mix she used but I decided at that moment just before I was about to pay for my Ribena to save that packet of spices from languishing in oblivion in a corner of the checkout counter 😛 I thought I’d cook it over the weekend but as I walked across the road towards home, I decided to cook it today. So after chewing down 2 charcoal tablets and resting a bit, black tongue and all, and then running to the throne one more time (TMI! Sorry :P), I left home again and headed off to get the ingredients. 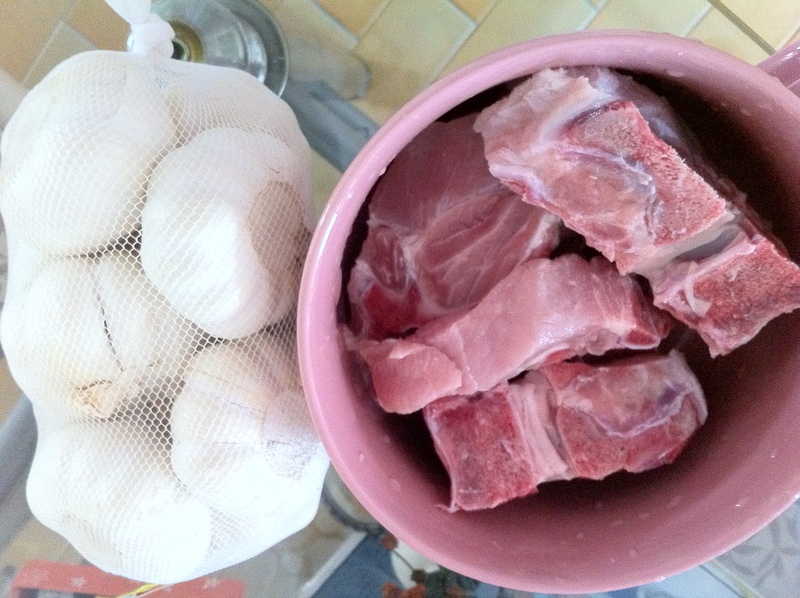 – Add garlic and continue to simmer for another 15 mins. Serve hot. The soup tasted alright, I suppose. I mean, it’s idiot proof so nothing can go wrong unless you add too much water and dilute the taste. But the herbal tastes should’ve been stronger, instead it’s a little too mild. 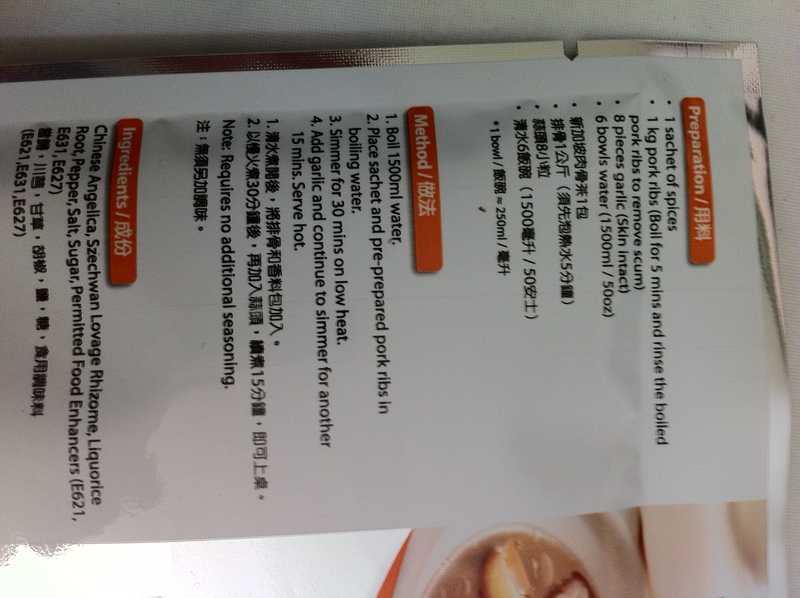 Bak kut teh is supposed to be about the Chinese herbs and spices so that’s where this brand fails, I think. Maybe hubby will think differently. Will have to wait till he comes home tonight and try it. 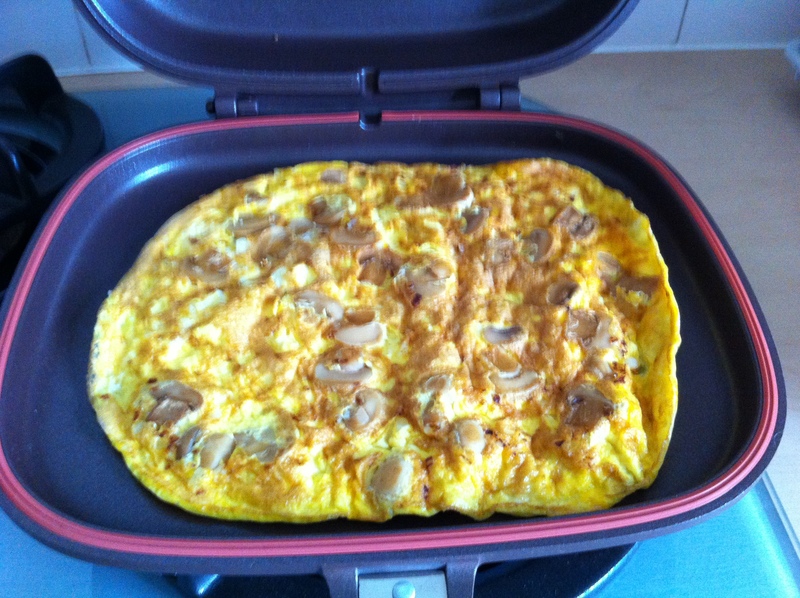 Just give me that wonderful looking omelet and I will be more than thrilled…Going to look at the video of the pan now..